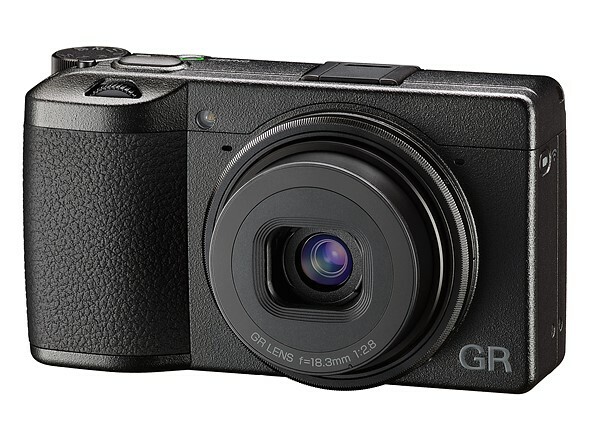 WEST CALDWELL, NJ, February 21, 2019 - Ricoh Imaging Americas Corporation today announced the launch of the highly anticipated RICOH GR III camera. The new camera is the latest model in the RICOH GR series, a lineup of high-end digital cameras providing exceptional image quality in a compact, lightweight body ideal for street photography, travel and capturing candid images. The RICOH GR III features a newly designed lens, image sensor and imaging engine that further upgrade image quality, enhance functionality and improve usability. The 18.3mm F2.8 lens delivers exceptional imaging performance with a slim design, consisting of six optical elements in four groups, while retaining the 28mm angle of view. It produces the clearest, sharpest images in GR-series history while reducing distortion and chromatic aberration. It also comes equipped with a macro shooting capability with a minimum focusing distance of six centimeters. In keeping with the GR-series concept of packaging high image quality in a compact design, the RICOH GR III camera body is smaller than its predecessor, and is equipped with a large APS-C-size CMOS image sensor with approximately 24.24 effective megapixels to produce high-resolution images. Its short start-up time of approximately 0.8 seconds allows for quick, responsive shooting. The camera’s high-definition LCD monitor features touchscreen operation, offering intuitive control of various camera functions right on the screen. The camera also features a high-speed hybrid autofocus system, built-in shake reduction, in- camera image finishing options, USB Type-CTM, Bluetooth and wireless LAN connectivity options. An accessory wide-angle conversion lens designed exclusively for use with the RICOH GR III is also available. The GW-4 Wide Conversion Lens expands the angle of view to 21mm ultra-wide angle. Hereford says that the image quality is so great, that photos taken with his GR cameras have the potential to be used in national ad campaigns and magazine articles. Designed to be the ultimate street photography camera, the RICOH GR III is a totally new breed of GR camera that will give the user new and different creative possibilities. The RICOH GR III will be shipping in March 2019 and will be available at www.us.ricoh- imaging.com and retail outlets nationwide. Price is $899.95 for the camera, $249.95 for the GW-4 Wide Conversion Lens. Last edited by OoKU; 02-21-2019 at 08:30 PM. Wow, I don't guess I realized the price was going to go up so dramatically. Stabilization was the only thing I wished my GRII had so I got my wish, but....man. Did you read the same one I did, 'cause it seemed like they really liked it to me? What Ricoh needs is for Nikon to helpfully come out with the same camera for a few hundred dollars more, like they did when the original APS-C GR came out. That made the GR look cheap for once. Otherwise the GR has always been a pricy item. This one is all new and $100 dollars more than its predecessor. In the context of other high end compacts from Canon and Sony, it looks like a fair price to me. Otherwise the GR has always been a pricy item. This one is all new and $100 dollars more than its predecessor. Not a glowing piece of journalism, Docrwm! He admitted he had one hour with it. I have a GR II and enjoy it, this thing's even better. I’m not in the pre-order que, but I think my second hand GR will be upgraded some time before summer. I need something simpler and significantly smaller than a KP and bag of lenses. 899 - 799 = ? My Q-7 bag is significantly smaller than my KP bag. One news feed indicates a Canadian retail price of CAD $1199, which is roughly consistent with the currency exchange rate on the USD ($899). I wonder if Ricoh didn't purchase Pentax just to sell more GR's.